Salesforce, the world’s most advanced and sought-after SaaS CRM software, primarily takes care of any business’s goals of strong client base and effective sales of products or services. Salesforce will only reap productive benefits for an organisation if the end users or the employees in the organisation are proficiently trained in using the software to its best capabilities. Improving workflow through Salesforce means being able to log and instantly recall relevant information in order to enhance selling of products or services. The biggest problem that one comes across is not having proper knowledge or understanding regarding what the Salesforce system is designed to achieve for the business. Proper training of employees or working professionals through a reputed Salesforce Training institute or platform at the time of installation will allow your staff to become proficient and skilled in confidently managing various operations and features of Salesforce. It is much relevant that all the key users and department heads become well versed with the system and working of Salesforce in order handle your business processes, reporting and other essential CRM tasks with greater efficiency. Moreover, as Salesforce experience has garnered remarkable productivity and success ratio for businesses, so its demand in the market is growing immensely by each year. The tool has been ruling the roost of the cloud computing ecosystem for last 5-6 years and is expected to continue do so for other 2 decades. Salesforce Developers, Admins, Architects, Project Managers, Consultants, etc are among the hottest skills for IT and business professionals and are in great demand by employers across various sectors, worldwide. It is rightly said that in order to have a progressive career profile and a lucrative salary, you should learn a Salesforce skill and add it to your resume/CV. According to Burning Glass research, Salesforce is now the 7th most highly demanded software skill similar to Python, .Net, and C++. Developers, Salesforce Architects, Salesforce Technical Architects, Salesforce Consultants and Project Managers are some of the profiles that are high in demand within the Salesforce ecosystem. Salesforce skills carry a significant salary premium and jobs that look for these skills pay more than £60,000 per year on average. 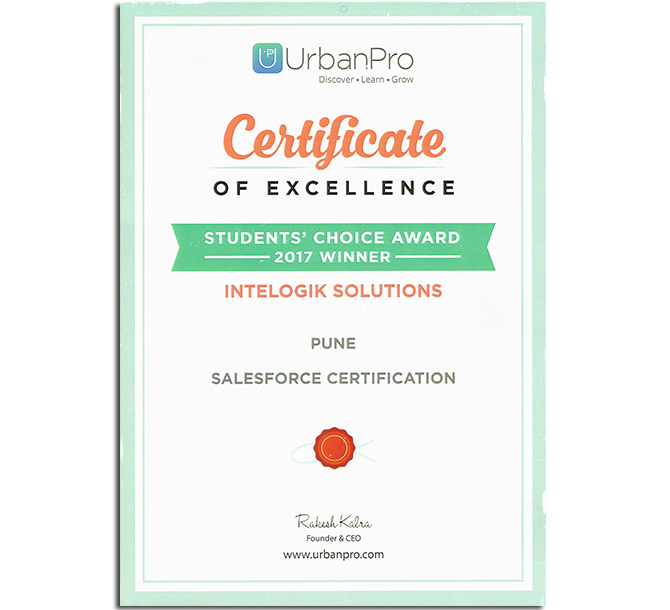 Thus acquiring training with Salesforce skills or a certification course is essential. You would be glad to know that Salesforce work profiles don’t require an IT degree to build a career with the system. There are many Salesforce certification courses such as Administrator & Advanced Administrator, Platform App Developer, Salesforce CTA (Technical Architect) and Salesforce Service/Sales Cloud Consultant that groom you in the knowledge to specialise in the related specific job role. There are also many training providers or platforms such Simplilearn, Intellipaat, Stony Point, Intelogik, and Udemy that can really add value to your CV. These platforms offer you online training courses that you can take up from any place and at any time. The learning sessions are self-paced, flexible, and come with continuous support and guidance from industry expert faculty. The best part is that these institutes/platforms keep small batches, so the learners get personal attention. It is ensured that each learner gets the attention, time and mentorship that he/she deserves according to his/her calibre and requirement.